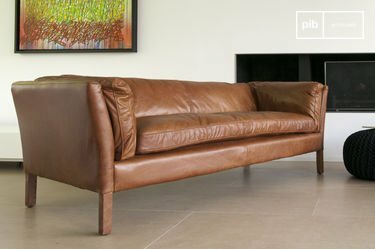 What style to choose with a country style sofa? Why is this trend so popular now? How about a shabby chic sofa in a country style? Have you ever asked yourself what the country house style is? In this article you can get an overview of country style sofas. If you are a fan of the countryside look it's high time you bought yourself a country style sofa! There are different models and variations from which you can choose. How about a couch with a delicate floral pattern? On beautiful floral patterns it is very easy to relax and unwind. 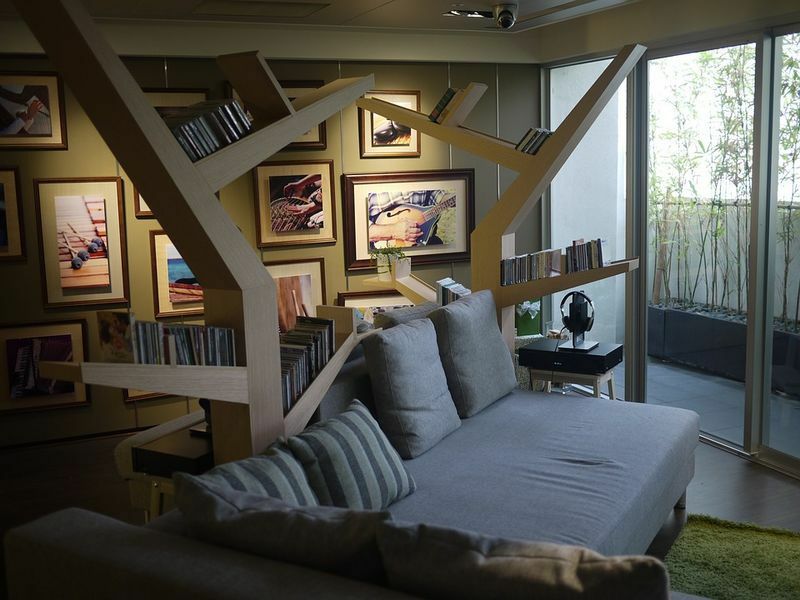 If the sofa can be pulled out to a bed you have the perfect place to relax in the living room. A good idea is to always combine several sofas a 2 and a 3 seater. Of course this varies according to taste and space availability. 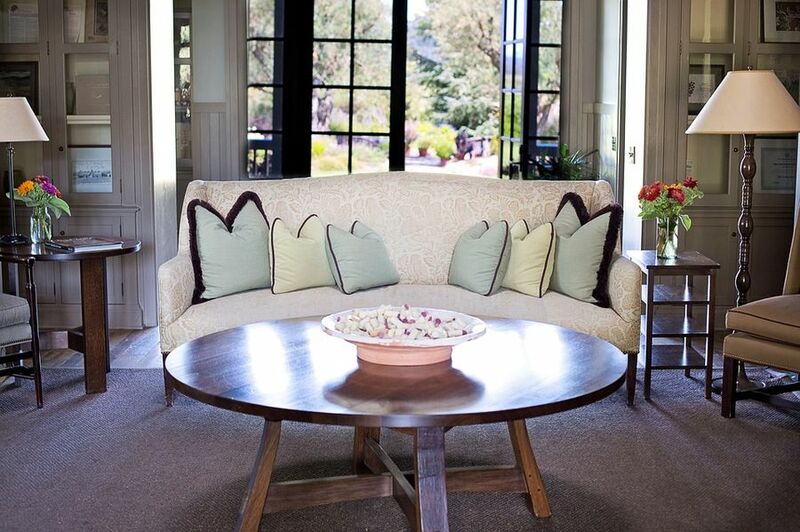 A beautiful grouping of a 2 seater or a 3 seater sofa in a romantic country house style will make your interior shine. Another possibility is a corner sofa in a country house style. There is enough space for the whole family and friends. With a corner sofa in a country house style there is really nothing you can do wrong. Combine floral patterns and feminine accessories to really spread the country house style! The country house style can be combined very easily! Especially with shabby chic and vintage furniture, country house style can match perfectly. But also with rustic furniture, country style furniture can be combined very well. Shabby chic and vintage style are certainly the styles that are easiest to unite with the country house style. But why not glam up your modern or industrial style with a touch of femininity? Especially in apartments which are only barely furnished the country house style makes it more cozy. This style gives every interior design comfort and a feeling of well-being. There is therefore no rule with which type of furniture the country house style fits best. 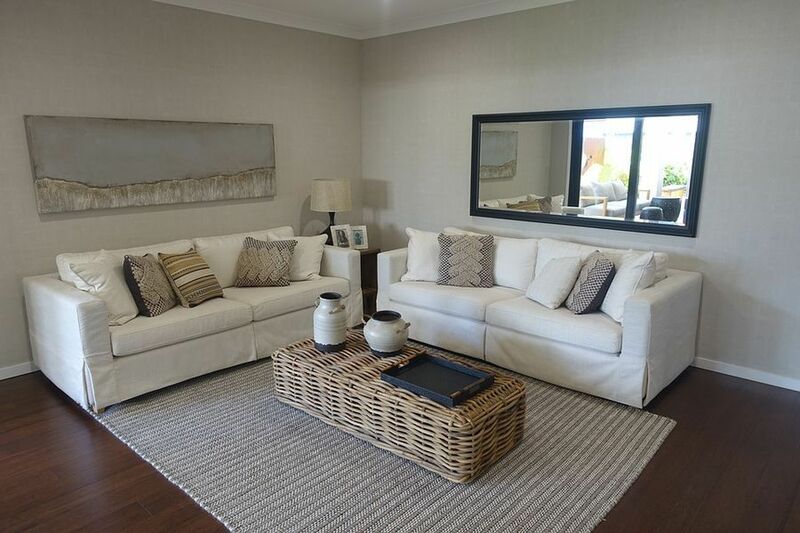 A country style sofa adapts to any interior style and is therefore easy to combine . Even if you do not choose the whole decor in the country house style, this type of sofa gives you a feel-good factor. It also brings the cozy character of a countryside house to every city apartment. Pure relaxation and great charm. The country house style does not only have to be implemented in one color. Patterns and floral motifs are very popular with this look! 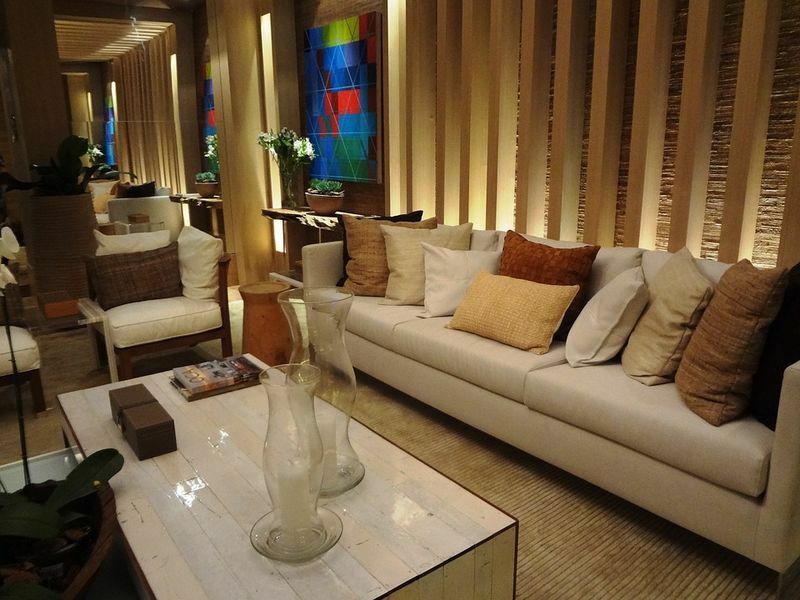 You can also choose a sofa which is plain-colored and spice it up with some cushions with floral motifs. So if the country house style is too much for you, you can easily exchange the cushion cover and you have a simple Scandinavian look. The country house style focuses on femininity and romantic designs. 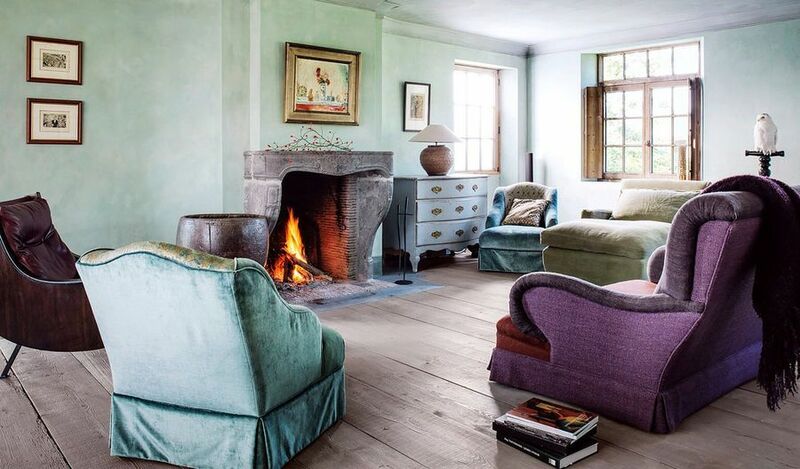 Especially a sofa which is made to relax is perfect in the country house style. There is even more comfort and well-being with a country style sofa. This type of sofa is perfect to put a feminine statement to your apartment. 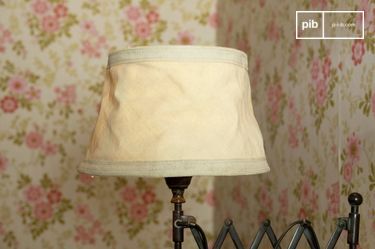 With the country house style fabrics are very important. Pastel colors and romantic designs are particularly welcome here. Floral patterns in female colors and Nordic checked patterns in blue colors or just a natural fabric? If you want to design your couch in a countryside style, then there is no way around these shapes, colors and patterns! 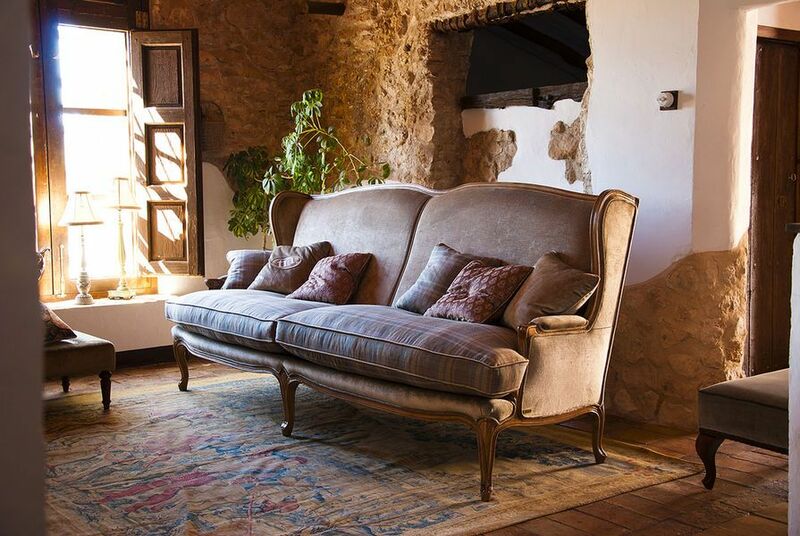 With a country style sofa, you can feel like you're on vacation in France Provence, Surrey UK or Stockholm. Each interior is enhanced by a country-style couch! The new trend of the country-house style sofa will also enchant you. In the country house style, women can really let off steam! Decor, decor, decor...whether flower patterns or pink wallpaper everything is allowed. The country house style is a very feminine furnishing style with lots of flowers and frills, so exactly what women love so much. This feminine side of the country style makes the style so cozy. Fresh flowers in a vase are a must-have. This interior design style is a real joy and it gives you the impression of summer all year around. Chandeliers with rhinestones and cushions with floral print and candles are an absolute must. Especially many decoration objects are very important with this look! There should be no bare corners or empty walls. Flowery, airy and natural mixed with light wood furniture gives the great country house style. The longing for the beauty of nature and the countryside is reflected in this style. Many flowers like peonie, lily of the valley and white tulips but also lavender are absolutely in demand. The mix of real natural materials and flowers make this interior style so great. When choosing the furniture, it is important to use pastel color furniture. Furniture in white or beige bring a bring a summery feeling to your home. Pastel colors in combination with fresh flowers results in this wonderful interior style. Back to nature: Living the country house style is a trend. The country house style can created with antique traditional furniture but also with rustic and massive wood furniture. However, there is always a slightly summery touch to this furnishing trend. The theme of nature is now much more trendy than before. In the various types of country house style, the influences of nature always play an important role. One can easily distinguish the Scandinavian, English, Mediterranean and American country house style. The aim of the country house is to create a cozy ambience . No matter what country furniture you look at, they all have one thing in common: they ensure a cozy and rural ambience. Typical country house furniture is usually made out of solid and peasant furniture, such as antique chairs ans rustic armchairs. They are characterized by mostly natural surfaces, which are often only oiled. 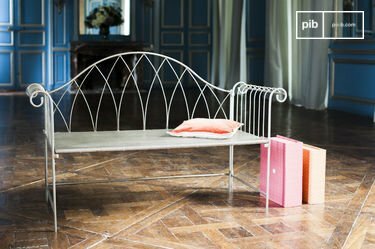 Whether rustic, nostalgic, romantic or shabby style? If you want to decorate your home in a country house style, you can let your imagination run free. Of course there is also the modern country house style, which can be created easily. To achieve this trend you do not have to buy old furniture, but you can easily buy modern country style furniture. These are not genuine vintage furniture but are made to look old. 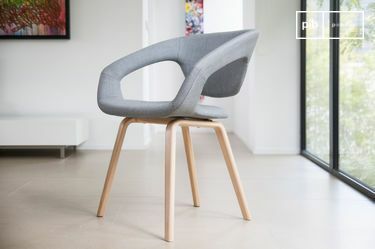 This kind of furniture is super easy to adapt to a modern furnishing style. Simply blend modern lighting with country-style furniture or modern industrial chairs. There are no rules! Good is what pleases. You can easily connect rustic country house furniture with a modern twist . A mix of different styles is always a good idea! Especially country house decoration is super easy to mix with modern furniture. The country house style is ideal for those who want to have comfort in their homes. This trend can be implemented with very little effort! It is important to use pastel colors, whereby the choice of wood can be a little darker. The country house style is defined as airy, light and natural. If you choose an old piece of furniture from your grandmother you should be careful to combine a second vintage piece of furniture. For example, you can also choose an old picture frame. Especially in the modern times of smartphones, tablets and computers, people are longing for cosiness and countryside feeling. I personally would advise you to use a real heirloom or a souvenir from a vacation to make your home more personal. This perfectly fits to any country house style sofa and reinforces the style. 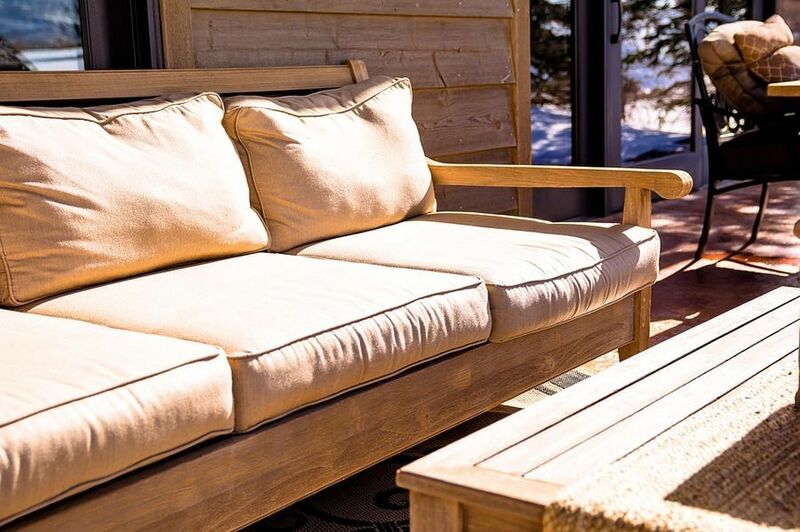 This article has hopefully shown you how cozy and charming a country house style sofa can be. The great thing about it is you can combine it with every interior style! You can get the perfect coziness and country house atmosphere to your home with a country house style sofa. Try it out and you will be surprised how comfortable and feminine your apartment can turn into.